One of the most common topics we are asked about at Woodstock Hardware is about carbon monoxide detectors, especially where to put them, how they work, and the differences between models. Carbon monoxide (CO) is the leading cause of accidental poisoning deaths in America. According to The Journal of the American Medical Association (JAMA), CO poisoning causes approximately 2,100 deaths in the US per year. The use of CO alarms could potentially prevent many of these deaths. Carbon Monoxide is called the silent killer because it is invisble and odorless. Knowing how to protect your home and family from CO could be the most important thing you do, and it is simple. Use this information to help make your home safer. CO is produced anytime a fuel is burned. Potential sources include gas or oil furnaces, water heaters, space heaters, clothes dryers, barbecue grills, fireplaces, wood-burning stoves, gas ovens, generators, and car exhaust fumes. More than two-thirds of Americans use gas, wood, kerosene or another fuel as their home’s major heat source. 65% of CO poisoning deaths from consumer products are due to heating systems. 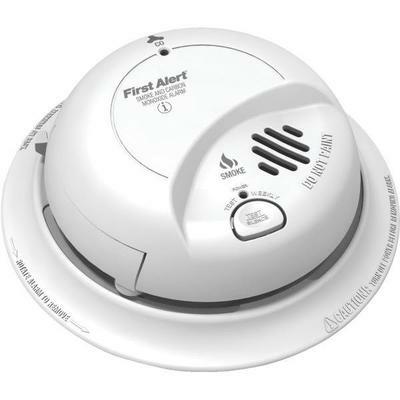 Only 27% of homes in America have carbon monoxide alarms, according to the Hardware/Homecenter Research Industry. An idling vehicle in an attached garage, even with the garage door opened, can produce concentrated amounts of CO that can enter your home through the garage door or nearby windows. CO poisoning deaths from portable generators have doubled for the past two years, and many of these deaths occurred in the winter months and during power outages. A poorly maintained gas stove can give off twice the amount of CO than one in good working order. 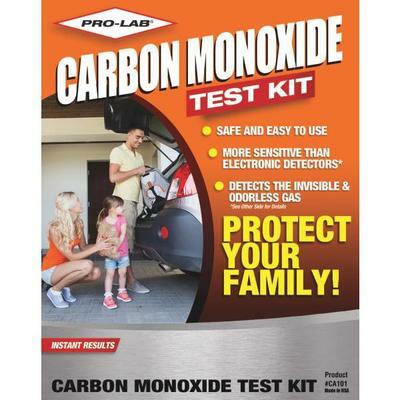 Woodstock Hardware stocks a variety of carbon monoxide products to help you make your home and business a safe place. Install at least one battery-powered CO alarm or AC-powered unit with battery backup on each level of your home and near sleeping areas. Check all carbon monoxide alarms in your home. Do they use the most accurate sensing technology? Do they need new batteries? Replace CO alarms every five to seven years in order to benefit from the latest technology upgrades. Do not block or seal shut the exhaust flues or ducts used by water heaters, ranges and clothes dryers. Do not leave your car running in an attached garage or carport. Below are a few of the major features to consider when selecting CO alarms for the home. Accuracy: Look for a statement on the package about the alarm’s accuracy level. If the CO alarm is UL listed, then the accuracy statement will have been certified by UL, too. 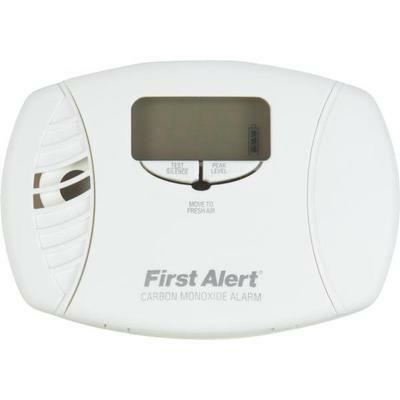 Battery Operated: Consumers who live in areas prone to power outages or who own a gas-powered generator should consider a battery-powered CO alarm with a backlit digital display. Battery-powered units offer 24-hour CO monitoring when power is interrupted. The backlit digital display allows the user to view the CO level in the dark. The alarm can also be placed on a shelf or wall or moved from room to room. Digital Display: A digital display screen clearly shows the level of CO detected in the home, and updates the reading every 15 seconds. Peak-Level Memory: This feature records the highest level of CO present. Knowing the CO level in the home can help emergency personnel determine treatment. Plug-in with Battery Backup: Easy to plug into any electrical socket, these alarms include a 9V battery for protection during short-term power outages. Voice Warning: This feature clearly announces the threat present in the home, in addition to emitting the traditional alarm beep. 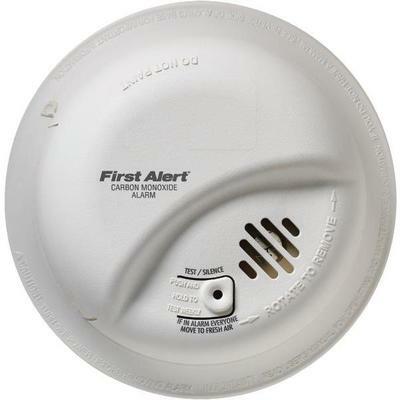 It is often a feature of combination smoke/CO alarms. Install at least one CO alarm on every floor and in sleeping areas. Make sure CO alarms are at least 15 feet away from cooking or heating appliances to prevent false alarms. Don’t cover or obstruct the unit. Test the CO alarm monthly. We hope you find this information presented about carbon monoxide, its prevention, and detection helpful and that your home is protected against this silent killer.